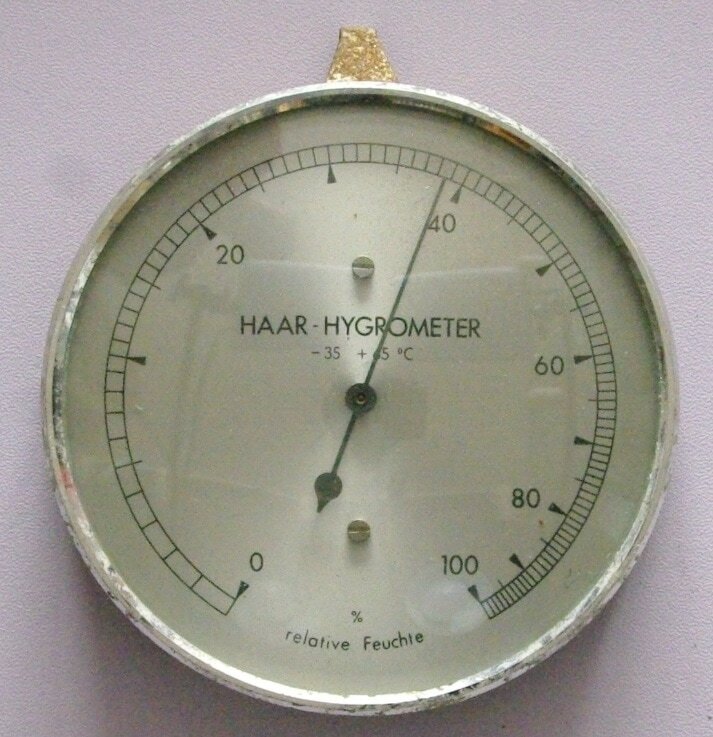 This Model 111 hair hygrometer was made by Fischer of Drebach, Germany. It doesn't have the Fischer logo but the Fischer company has confirmed that it was made by Fischer. The dial is approcximately 3.75 inches in diameter. 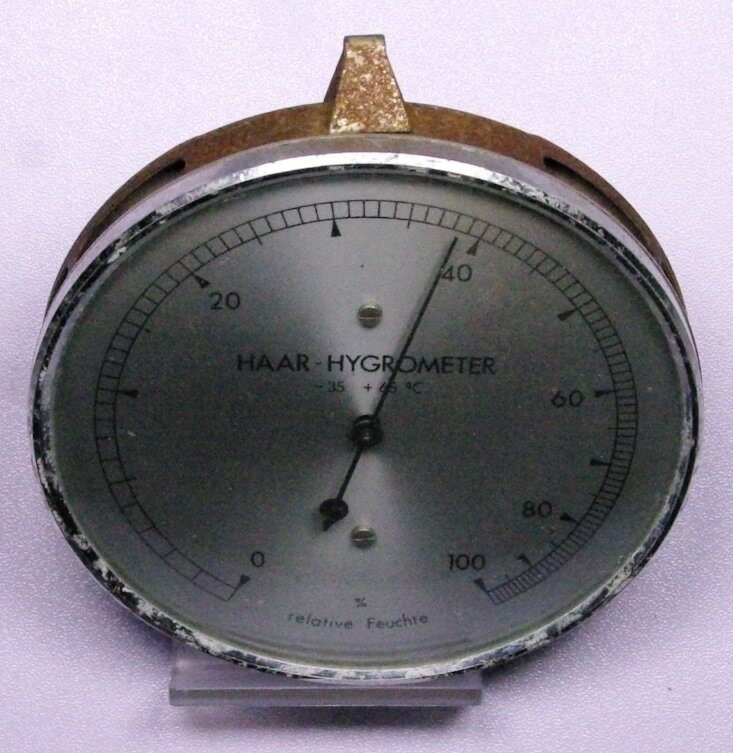 This hygrometer probably had a long useful life as it came from the ship breakers in India. It still works well. I don't know the manufacturing date but it's probably in the 1980s. It has a newer dial design than the 1971 Fischer catalog, and a wider temperature range. Very similar hygrometers continue to be sold in the current Fischer catalog, which may be found here.